The main stage at Sziget complete with a roof system from Stageco Germany. With this sadness potentially casting a dark shadow over the festival and its team, Sziget could have easily hit a rough patch. And yet when arriving on site in the blistering heat, the welcoming faces and the camp morale were instantly noticeable. Naturally, road crew have an inherent ‘the show must go on’ mentality, and this case was no exception. In the backstage area of the main stage, a candlelit shrine was placed near Panaitescu’s office, at which all of the people he worked with over the years could pay their respects. 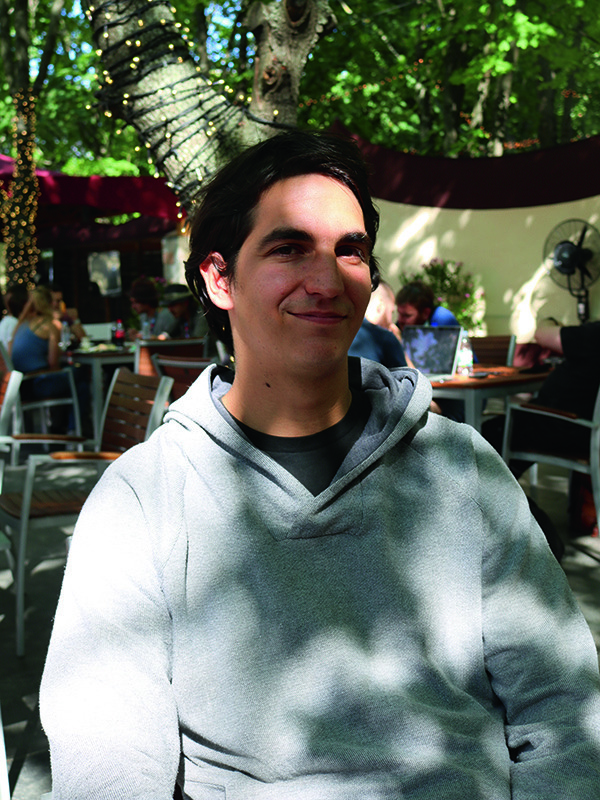 Head of Production, Daniel Benis. “What’s remarkable is the fact that I became the Head of Production aged 25.” He continued: “I’m now 34 years old, and I’ve learnt so much over the years. The biggest challenge was wanting to change how things were done within the production. I was the new guy fighting with old standards. I’m very interested in health and safety issues and crowd control, and we’ve progressed with that greatly in recent years. Now we’re working with Mojo Barriers I’m educating the security teams on how to use their systems. We need these barriers in place for our pits because they are the best, and we’re serious about what we do on this site. Capital Sound’s Paul Timmins with Stage Manager Zsolt Szicso. Bastille performed to a crowd of thousands and impressed the Hungarian crew with their visual content. Following an introduction to the festival organisers at Germany’s Prolight+Sound tradeshow, Capital Sound first supplied equipment to Sziget in 2006 with its Meyer Sound PA inventory and some DiGiCo D5 consoles for FOH and monitor duties. 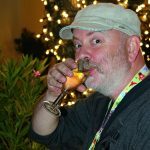 Over the next decade, the relationship between the British rental company and Hungary’s premier music festival became cemented, with Capital’s Paul Timmins looking after the account. It was determined that, as the festival was growing in size, so should its main stage audio design. 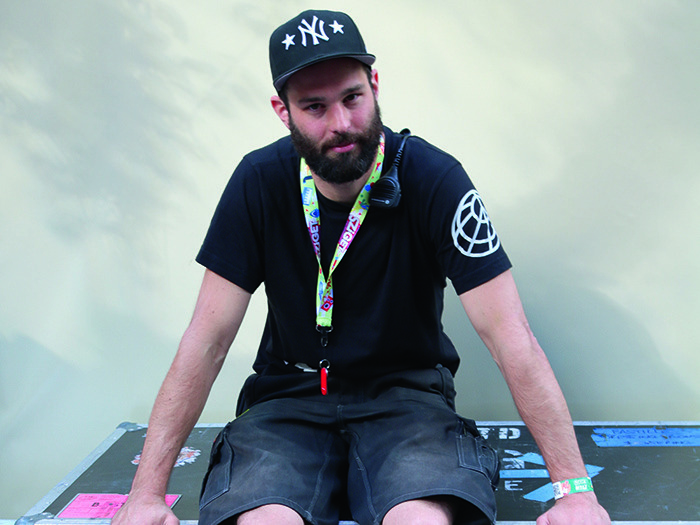 Timmins recalled how he’s seen the festival develop into the heavyweight attraction it is today. “By 2009 we were sending a complete A+B flip flop monitor system for the main stage with local Hungarian vendor, Expander 2000. 2010 was the first year we supplied – with the exception of the delay towers – the complete main stage system. At this point we were still only sending one audio tech over from the UK and the local Hungarian crew worked with the system. Over the next couple of years we continued to upsize and upgrade the design. In 2011 we were very close to providing a festival package that would be considered UK standard. 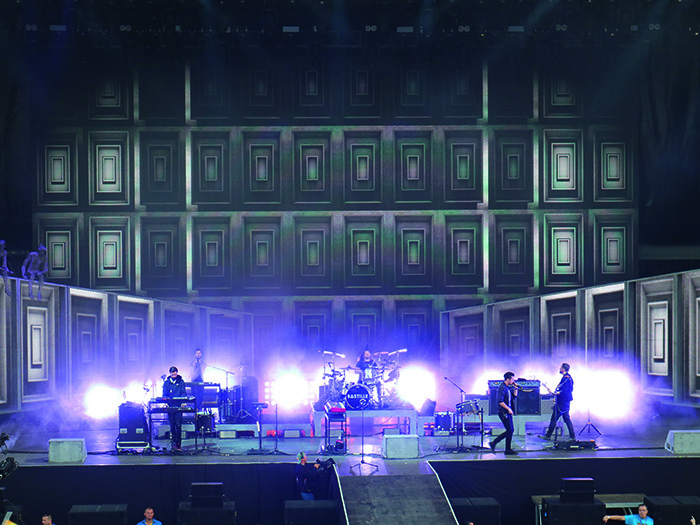 By 2013 we’d made a key investment with Martin Audio’s MLA system due to the demands we were seeing for that particular system at venues such as London’s Hyde Park for the British Summer Time events. An important aspect of Capital’s DNA is its knowledge and expertise when it comes to different sound systems. It currently offers four different audio brands to its clients – Martin Audio, Meyer Sound, d&b audiotechnik and Outline – with a ‘one size does not fit all’ motto. The supply included four main MLA field delays and a central mix tower of MLAC delays. “Due to the incredible success of how the MLA performed in 2015 we managed to get through a lengthy tender process and have now secured a contract with MLA for the next couple of years, which also includes supplying the two sister festivals,” said Timmins. 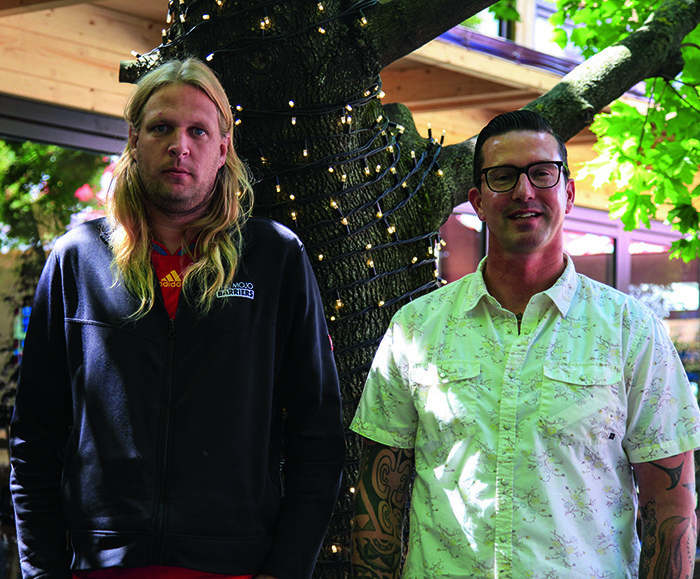 “I’m really happy about it because we love being involved with these festivals. The teams in Hungary are great to work with because they genuinely care about their events. They’re very passionate about what they do, and that makes it all the more worthwhile when you’re sending trucks of equipment over. We also get to meet a lot of touring crews coming through and using the MLA system. It’s been a really popular move to make. For RF, six ways of handheld Shure UHFR radio microphones were chosen, and Shure was also the brand of choice for in-ears, resulting in the specification of 10 PSM1000’s. Although most artists brought in their own microphones, a mixed package of Sennheiser, Shure, Audio-Technica, Harman’s AKG and Audix was supplied. 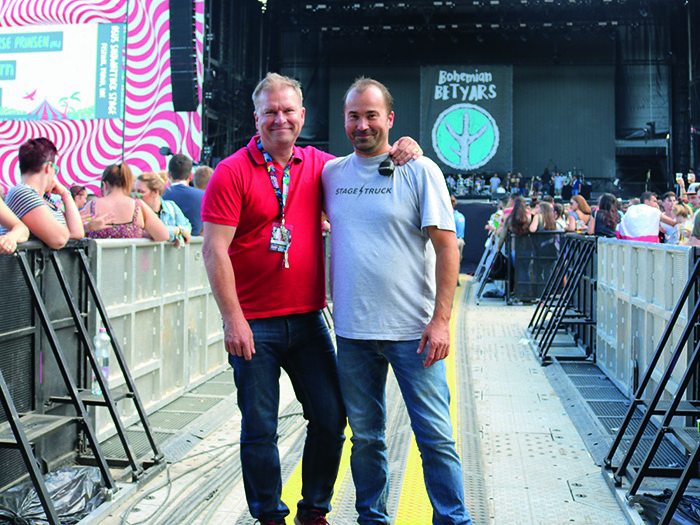 Mark Kontra, Head of Lighting at the main stage, as well as the area’s lighting and rigging designer stopped by the backstage area for a chat. 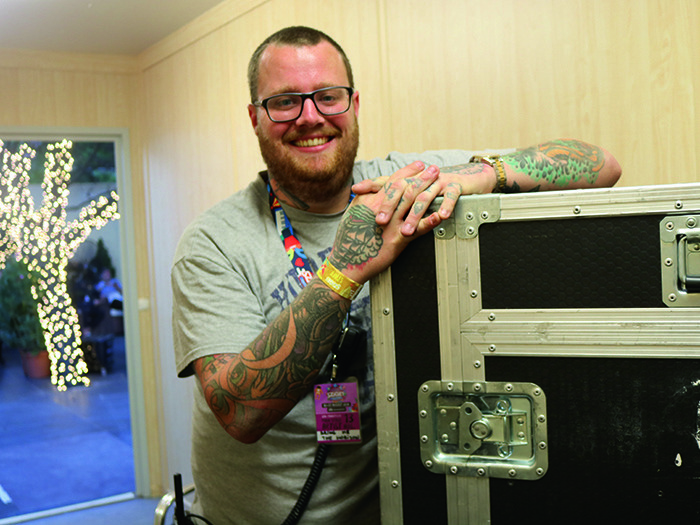 Now in his sixth year working with Sziget – and his third year in charge – he commented how his company, Colossal, had seen first hand the “complicated” set up the lighting world has to provide for such a wide variety of acts. 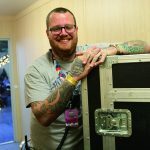 “I split my crew into two parts – one that works with the headliner act during the overnight load-in and the other that is here for the daytime to look after everyone else. My problem is that I try to be in both of the teams!” Kontra also advances the rigging plots for the Stageco roof team. For the main stage fixtures Colossal supplied 32 Vari-Lite VL3500 Washes, 32 Robe BMFL Spots, 40 Robe Pointes, 32 Robe Robin LEDWash 600’s, 24 Robe ColorStrobes, 60 CitySkape 48’s and a mixture of two, four and eight-lite generic molefays. 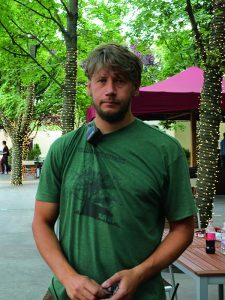 Kontra furthered: “There’s usually a lot of dust and very little time for maintenance when we’re on site, so we need reliable fixtures. This festival hosts a lot of rock bands, so for our rig we chose to use Vari-Lite VL3500’s a lot in our rig. This light has a big output, creates beautiful colours and has more power than some other options. It’s a key wash light which we see on basically every festival rider. We use a lot of Robe’s new BMFL Spots. These products have a great output and are a very reliable unit, just like the Robe Pointes. We also opted for the new Robe ColorStrobes. The LDs we’ve spoken to have really enjoyed using it. “For control we have an MA Lighting grandMA2 Full Size and Light for backup. This year I also brought in a High End Systems Hog4 for a few bands that had requested it. 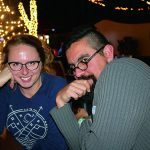 “This job is hard work, but I guess like everyone in this business, you must like the rush of making it happen – we like the excitement when the PA kicks in and the spotlights come on. We’re gadget freaks!” he laughed. Local Hungarian supplier, Visual Power, also enjoyed its 15th year at the festival, again providing the main stage video requirements. Led by Project Manager Peter Perjesi, the video design delivered a classic look comprising L-R IMAG and an upstage video wall. The IMAG screens consisted of 9m x 5m of YUCHIP P6.25 per side, while the upstage screen was a 16m x 9m wall of Uniview CO-7.8. The company also provided 200m of 16mm pitch LEDBlade that was installed on the edges of the main stage. 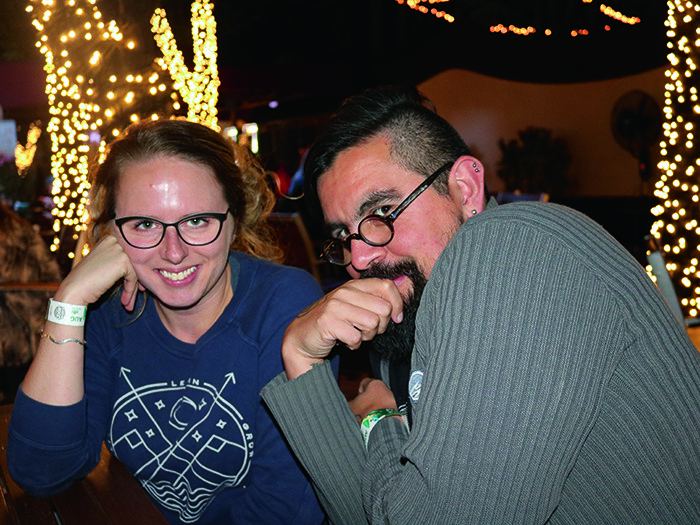 The vendor also supplied a crew made up of of two project managers, two show operators, a show designer, and three technicians who were on site at all times during the festival. 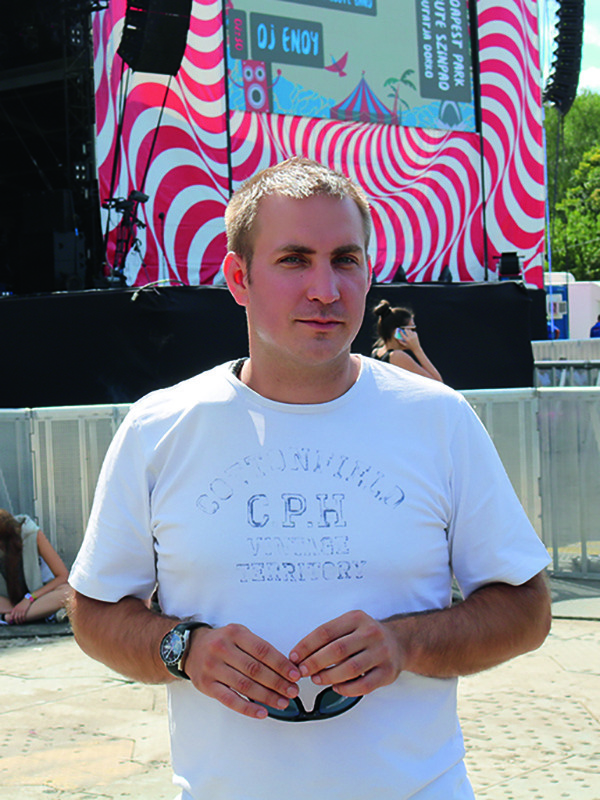 Mojo’s Stanley Jilesen, Sziget Account Manager is in charge of the compnay’s international festival and touring clientele. When Jilesen met Benis at an event, it was clear the two had a very similar way of thinking. 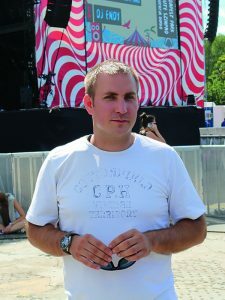 Jilesen’s approach to crowd control with barrier technology impressed Benis so much in fact, that Mojo won a contract with Sziget almost immediately. This was the beginning of a real breakthrough for the H&S conscious Benis. Jilesen explained what changes have been made since the two minds met. 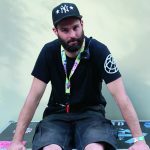 “When we got involved with this festival, the first thing we altered was the fact that they had no breaker at the main stage area. Once we created one, it kept the pressure off the people at the front of the crowds. “To be honest, that’s what we do everywhere we work. Every leading festival has something like that factored into its design. People at festivals have a sheep mentality – they will walk until they hit a barrier, and then they stop. If there’s no breaker, they’ll keep on walking and the pressure mounts. Our systems stop this from happening because safer is always better. A total of 400m of barrier, 50m of High Fence and 20 line-up gates were used for the 2016 event. As well as stage barrier within the main stage arena and line-up gates throughout the festival site, Mojo also supplied its high fence to the main stage FOH in order to enhance security and improve the aesthetics of the structure. With a crew of 10-12 people, Beulink’s team installed these elements in a day. Stageco Germany was hired to build a four-tower roof, introducing some key modifications to its standard specifications, such as extending the PA wings to the rear. The goal was to create a structure that allowed the Sziget team to cover the reverse side of the roof with custom made PVC prints. Another ‘special’ for this roof was the inclusion of pyro platforms above the canopy. Hardwell in particular used a vast array of effects from Quantum Special Effects, including its own custom wireless Spitfire Flame System, its show-stopping fireball named ‘The Harvey’, and a burst of summery white confetti and streamers that flew over the happy crowd below. In total, Stageco Germany delivered around 830 tonnes of gear that, as well as the roof, included the FOH riser, delay towers and 4,500sqm of VIP platform decking. Hungary’s B.L. 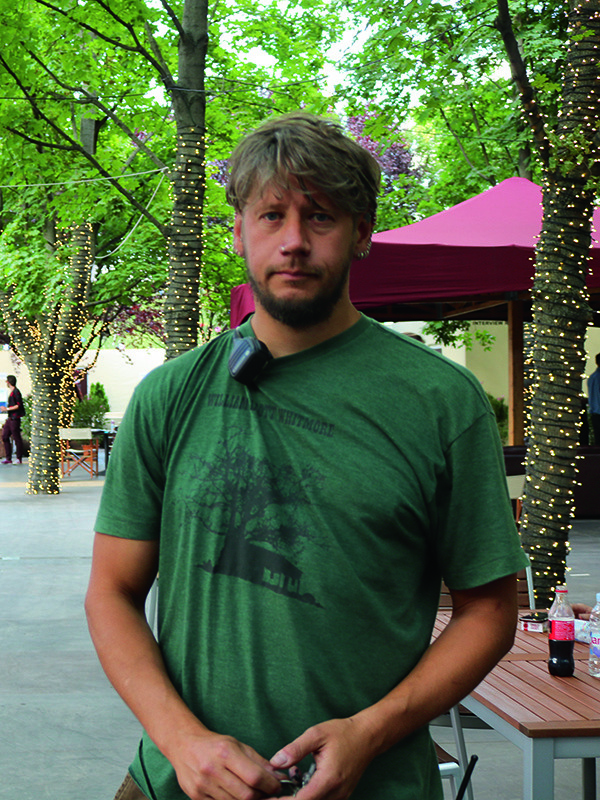 Crew co-operated on the project, while Manuel Billian led Stageco’s R&D effort and Stefan Stadelmann headed Stageco’s crew. The Kiosk team provided a number of options including a BBQ pit. 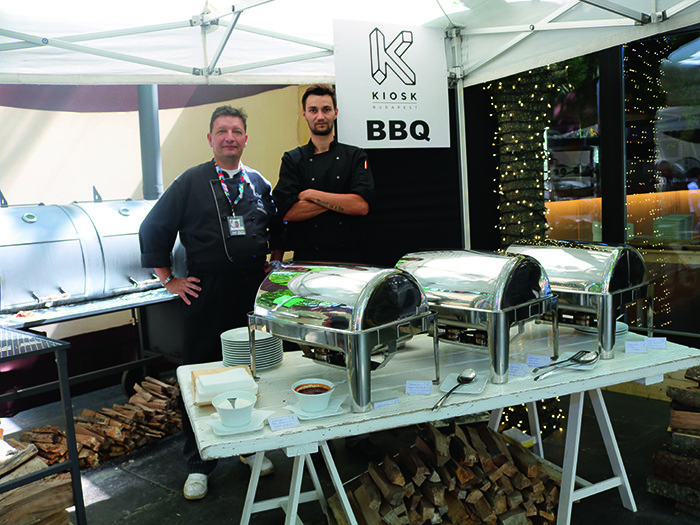 Kiosk is the catering company behind the vast array of culinary compliments we hear flying around over the weekend. Needless to say the risotto station wasn’t going to try itself… credit where credit’s due, the food is freshly made to order with any vegan / vegetarian / cave man preference you have. There are also salad bars, cheese counters, BBQ pits and beautifully-decorated desserts that wouldn’t look out of place in a Disney cartoon. 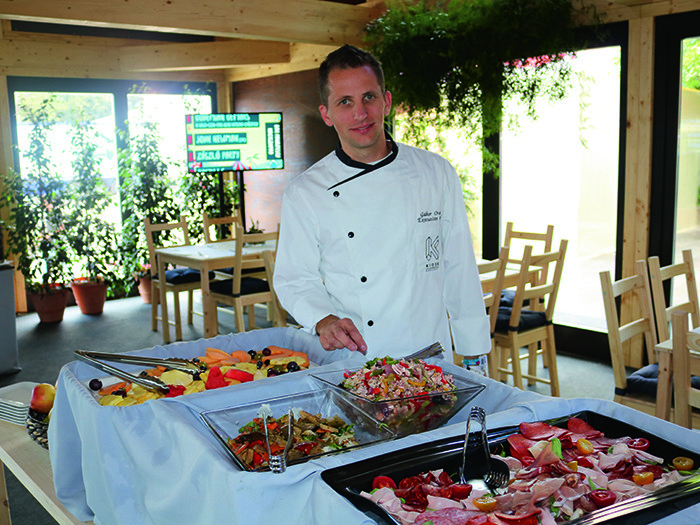 All under the instruction of Head Chef Mihalik Zoltán, the festival is responsible for feeding up to 500 production crew and artists per day. 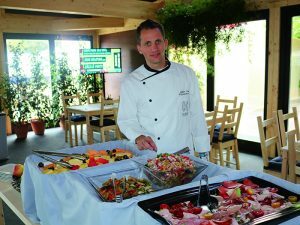 With an impressive 100 catering staff on site, no dietary request is too much for Kiosk. Zoltán is clearly here for his menu moulding and gastronomic creation skills. Having worked at the Four Seasons in central Budapest, his kitchen training is Michelin Star quality. 2017 will mark the 25th anniversary of Sziget Festival, taking place on 9-17 August. We’ve been left in no doubt that this milestone will involve some extra special celebrations. It certainly delivered a wealth of local and international production knowledge that has worked tirelessly to produce a space that welcomes each and every person with respect and outstanding hospitality. The festival encourages you to come for a holiday and leave your worries behind as you enjoy a first class festival experience and from what we’ve seen, whether you’re a part of the crew or a member of the audience, the Island of Freedom has set its Hungarian heart on giving you an experience to remember. 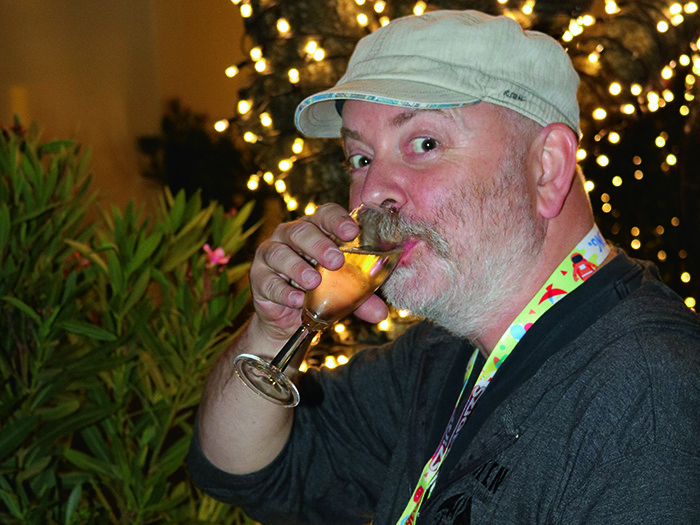 “I had heard what a great festival this place is, and it didn’t disappoint. The crew was fantastic and the crowd was epic – I love operating shows in which it’s all about the vibe because you can feel everyone experiencing the same synergy.